What if democracy fails citizens by not serving them all equally? Inequality becomes the norm and the most vulnerable citizens are left behind with no money, no home, no rights, and no country of their own. 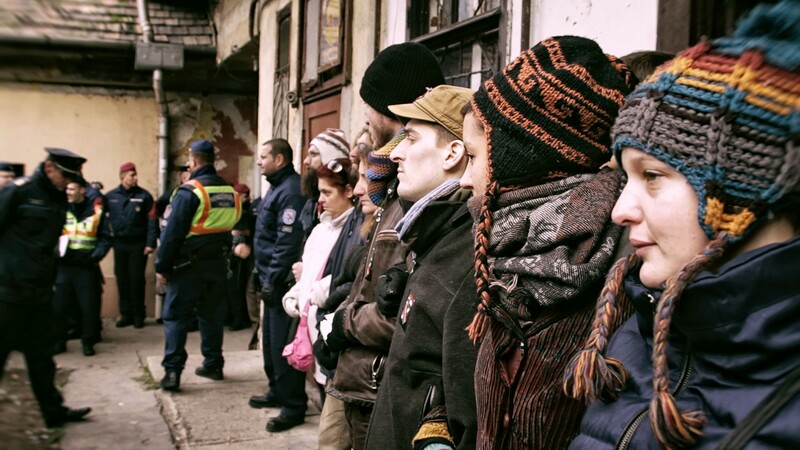 In Hungary, the government has slashed social benefits and criminalized homelessness, but a group of activists, both homeless and middle class, is confronting authorities to defend social justice and their right to be citizens. After the tragic death of two of its founding members, the group feels that Hungary is growing more hostile and their struggle is more important than ever. Despite all odds, their own community keeps them going—a mini-society with democracy and solidarity at its heart, an island of hope, belonging and dignity in a society gradually shifting the other way.